Discount available! 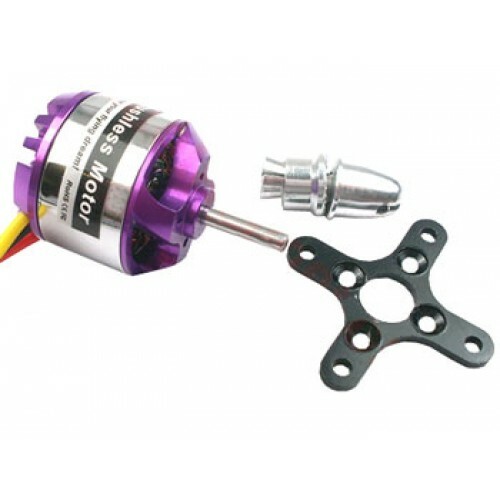 Recommend Brushless motor to your friends and get your Discount. 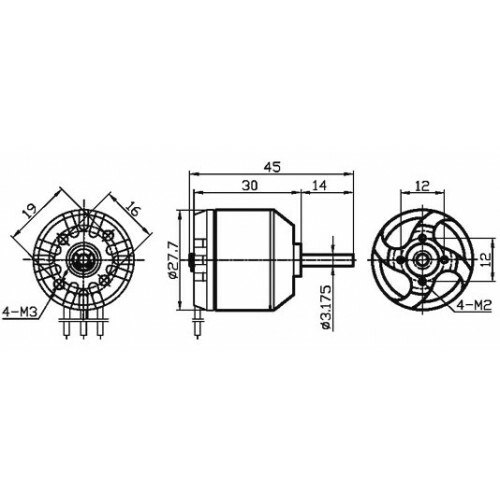 Brushless motor with a rotating case. Power: 7.4 to 14 V, KV (rpm / V): 850, maximum power: 187 watts. Battery: 2-4 Lipo, ESC (speed controller): 30 A, crankshaft size: Ø 3.17 mm × 45 mm, motor size: Ø 28 mm × 30 mm, weight: 52 g. Ideal for modeling and robotics. Pair of propellers 10x4,5 CW/CCW 100% in carbon fiber. Can be used with RC Multi-Copter. ..
1 Specification 1.1 Running current:40A(Output: Continuous 40A, Burst 60A up to 10 Secs.. Basic structure to realize a quadcopter. Just add 4 brushless motors, propellers 4, 4 sp..